Hughes-Peters, one of the largest electronic parts distribution businesses in the United States, was using an ERP system that was no longer capable of supporting its operations as it continued to grow. Unable to expand without depending on additional high-cost and ad-hoc software solutions, Hughes-Peters sought out Axiom Software to provide ePDS, an integrated, scalable ERP system. Axiom implemented ePDS at Hughes-Peters to support the long-term growth of the business and offer a unified solution across all sectors of their operation. 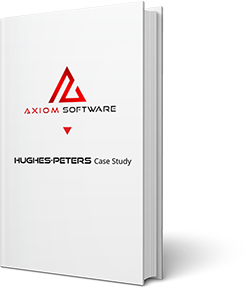 Download this case study and learn how Hughes-Peters benefitted from working with Axiom.